In this article the Groom+Style team reviews the Braun Series 7 shavers, and compares the key models in the range – 7899cc, 7865cc, 7893s, 799cc, 790cc and the 760cc. 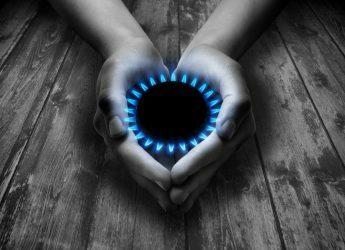 Please reach out if you have any questions, our team is here to help! The Braun Series 7 shavers are no longer the latest offering from Braun, the series 9 shavers are the latest, but the Series 7 are still exceptional and offer great value for money. The beautiful and very effective Braun Series 7 (model 7898cc) shaver in its travel case. For a full rundown of Groom+Style’s top-rated shavers then read the team’s review – men’s top 5 best electric shavers. The Braun shavers are foil shavers, if you are not sure which type of shaver is best for you then please read the team’s article – foil, rotary, and clippers. With that out of the way, keep reading for a rundown of the Braun series 7 (and Series 5) shavers. Please note the Braun Series 9 has replaced the Braun Series 7 as the latest version. The Braun Series 7 (left, model 7898cc) and Braun Series 9 (right, model 9290cc) side by side in their clean and charge stations. – some advanced shaving features in the new Series 9 shavers. So if you really want the latest shaving technology, and don’t mind spending the money then head straight for the series 9 review. Read the full series 9 shavers review. 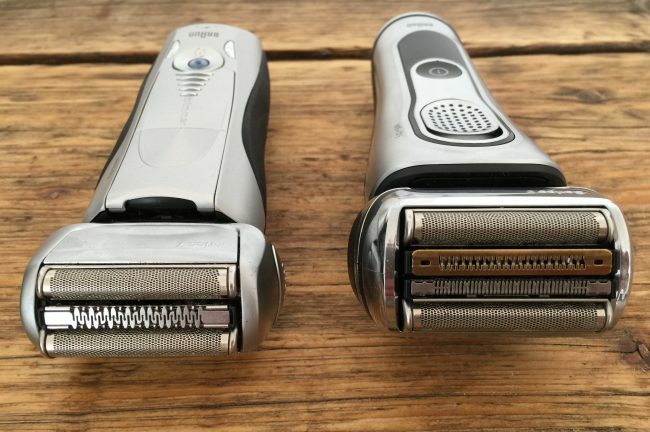 The Braun Series 7 (left, model 7898cc) and Braun Series 9 (model 9290cc) shaver heads side by side. 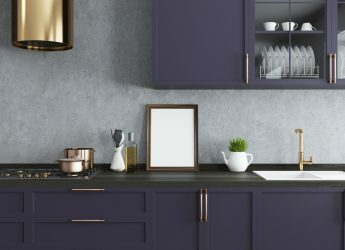 However, if you don’t need the very latest technology, and want to save some money, then you will find some great value in the Braun Series 7 shavers – so keep reading below. 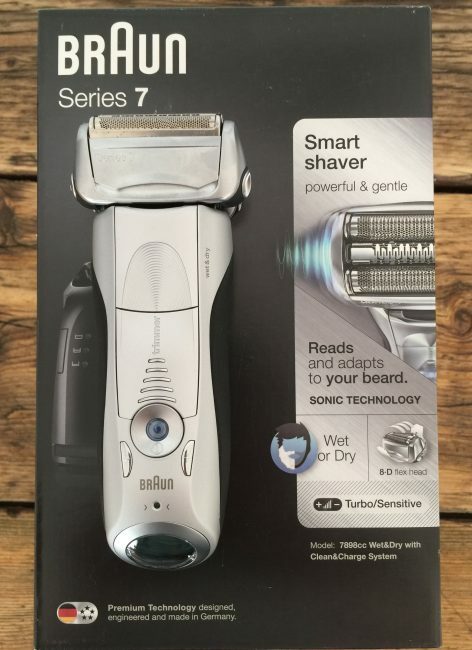 Braun Shaver Series 7 7899cc Wet & Dry. Click on the photo to check the Price on Amazon. Braun recently released a new range of shaver models in the Series 7 range. The latest shavers start with the prefix 78xx, while the slightly older shavers start with the prefix 77xx (see just below). The changes are effectively cosmetic, there are not any shaving performance improvements between the newer (77xx) and older models (78xx). The newer models can be used with foams and gels, while the older wet/dry versions did not support this. The newer models have 5 personalization shaving modes, while the older models have 3 – you are unlikely to need 5 modes. The only other key difference is in the terminology used to describe the shaving elements. In addition, there are no functional differences between the latest 78xx shavers. The 7899cc is silver, the 7865cc is grey and the 7893s does not come with a cleaning station. Which Series 7 Model Should You Buy? 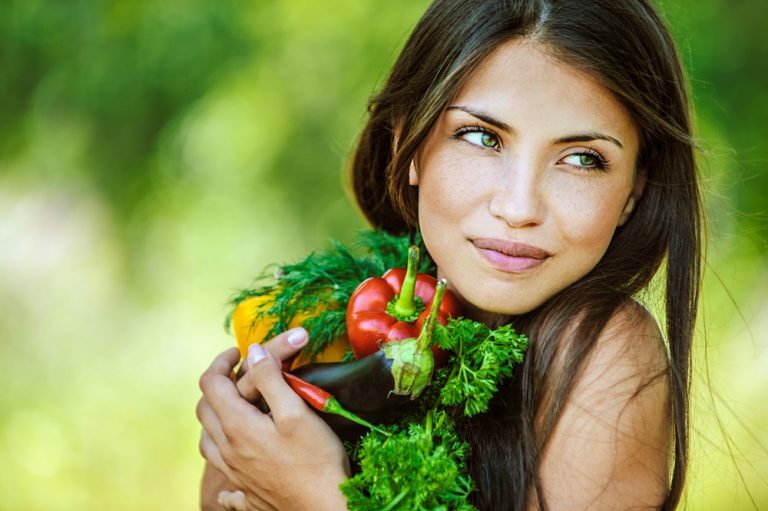 – Otherwise look for the best value model at the time you are looking. The prices of all razors can vary significantly, based on production volumes, availability, demand and time of year. Braun Series 7-799cc. Click on the photo to check the Price on Amazon. Only a few short years ago, electric shavers were either too expensive for the average man to afford or were poor quality. That was before Braun entered the market and changed the landscape by offering a series of highly sophisticated shavers – bringing excellence and the latest technology into the field. Now, the Braun Series 7 799cc sits close to the top of the list when comparing the best electric shavers. If you are familiar with the Series 7, you are already aware of what a high-quality shaving device it is. There are numerous other web reviews available for this shaver online, and they all, unanimously, declare that it is one of the best products on the market. The Groom+Style review team can attest to the Series 7 being a high-quality product. The 799cc obtained this reputation, quite rightly, due to Braun’s careful design and advanced engineering. All of the common issues that men encounter when shaving have been addressed by this tool. The series 7-790cc is equipped with all the latest features of the 799cc minus the wet option which makes it slightly cheaper. The wet option on the 799cc effectively means you can use it in the shower, but cannot use it plugged in. The 790cc you cannot use in the shower but can use plugged in. 799cc – wet model that can be used in the shower, but will not operate when plugged in (for safety). 790cc – dry only option, cannot be used in the shower and can be operated when plugged in. The 760cc like the 790cc cannot be used in the shower, and there are a few functional differences. The 790cc, being a slightly newer version, has a fast clean option and a 6 level LCD battery indicator. From a shaving technology perspective, they are the same. Shave closeness remains the primary concern for men who want to purchase an electric shaver and throw away their manual razors for good. 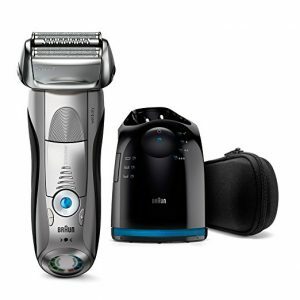 The Braun Series 7 shavers deliver an amazing shave – virtually on the first pass – and at least by the second. 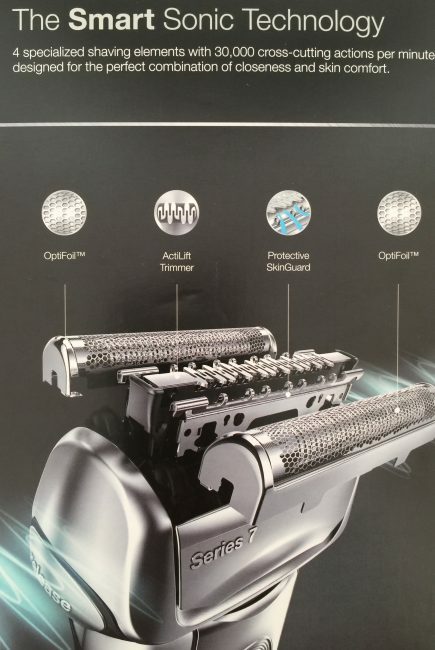 Photo of the Braun Series 7 box (model 7898cc) explaining the different elements of the shaver head. 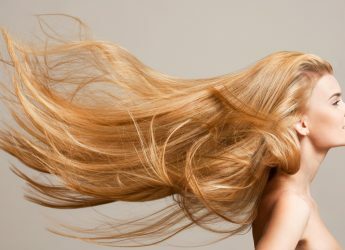 Braun used the “OptiFoil” technology that captures greater amounts of hair using fewer strokes. This is a very clever piece of technology that allows great swaths of thick beard hair to be captured and cut the first time around, as the powerful motor cuts down the hair to a manageable size. The second primary motive for people to switch to Braun shavers is the comfort that the company’s products provide. Braun electric shavers are exceedingly comfortable, and the 799cc one is truly exceptional. There are faster motors out there, such as the Panasonic Es-LV-81-K Arc 5 or the ES-LA93-K that are known to provide extremely powerful electric motors in their devices, but none can equal Braun in comfort. For people with sensitive skin, this is the optimal choice. Even the body of the shaver is comfortable to hold, allowing for a full, natural slip-free grip. Braun Series 7 (model 7898cc) on its box. 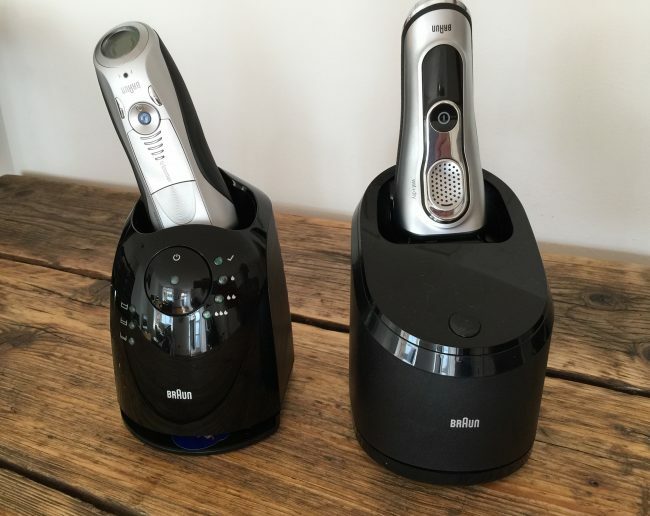 The third reason that Braun is so highly regarded within the electric shaver industry is that they have a proven record of being able to handle the problematic areas of the chin and upper neck. It is very common, in lower quality shavers, to get nicks and cuts in these areas, as the shaving heads attempt to contour over a face that they were not exactly designed for. The 7898cc/799cc etc, however, performs admirably over any facial surface with ease. The key reason these shavers are so comfortable is largely due to the unique mechanics of the shaving head. This ultra-flexible head matches the contours of the surface of your face while cutting, and does so in a way so that you only notice the gentle hum of the motor – no nicks, cuts or scratches. The beautifully designed Braun Series 7 (model 7898cc). Everyone has different skin, with different hair growing out of it. Managing to design a device that works equally well on all kinds of faces is a very demanding task, but Braun has succeeded with the 799cc, 790cc, and 760cc. Maintaining a clean shaver is necessary to get the best results with every shave. For this reason, The Series 7 shavers come with a cleaning dock included. 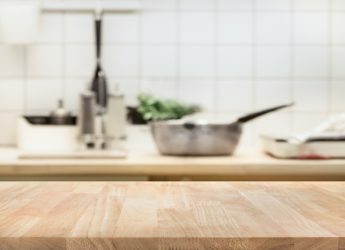 This dock not only charges the device when it is not in use but also vigorously washes it with an alcohol-based cleaning solution that kills 99.9% of harmful bacteria and leaves a fresh scent ready for the next use. Braun Series 7 (model 7898cc) in its Clean and Charge station. 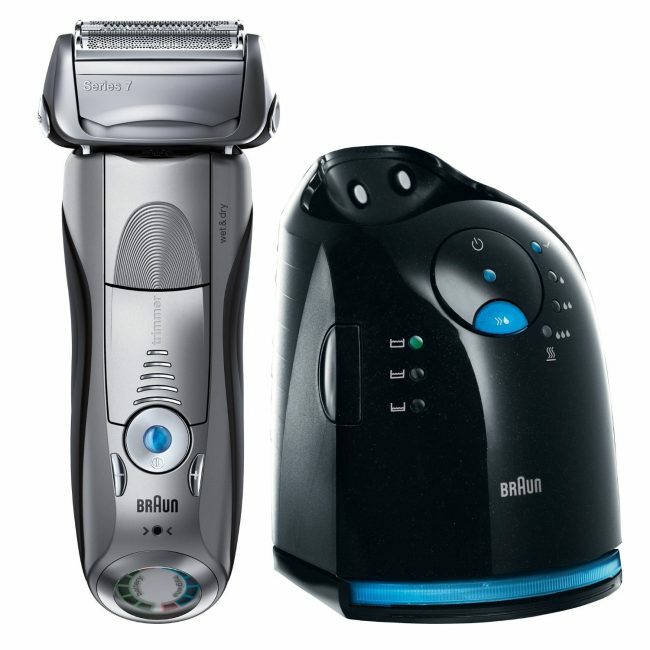 The highest rated Braun Series 7 electric shaver that does not include a dock is the 720S. 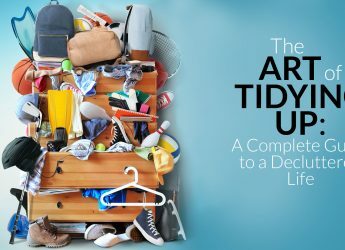 This could be a good choice for those of you who do not mind cleaning your own shavers – however, in Groom+Style’s opinion the luxury of having it cleaned for you is worth the extra cost. The earlier version, the 7- 790cc, lacked the wet shaving option. Braun has now released an updated model Braun Series 7 799cc, which caters to wet shaving audiences. Feature-wise, it offers similar functionalities to its predecessor 790cc but with an additional wet shave capability – albeit, at a small price increase. Tip: If you decide to buy the model with the charging and cleaning dock, and you get a wet/dry model you can only officially use gels and creams with the latest 78xx models. You cannot officially use gels and creams with the 77xx model shavers. The gels and creams can harm the cleaning dock, so their use will invalidate the warranty. Some users decide to risk invalidating the warranty and still use gels and creams with their wet/dry shaver (as the shaver can technically handle the gels etc.). 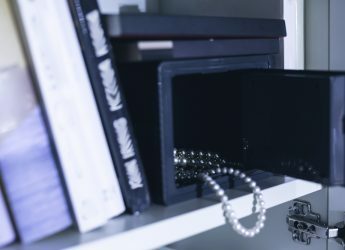 They clean the shaver first to remove the gels and creams, and then place the shaver in the cleaning station – but Groom+Style cannot officially recommend this. 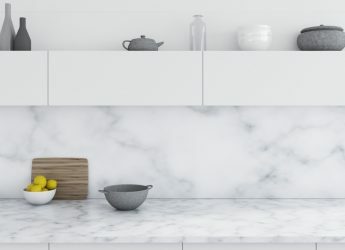 Also worth mentioning is the cleaning fluid – it seems to disappear over time, likely due to a natural evaporation. 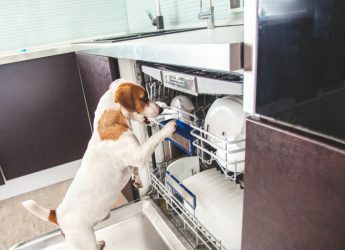 Normally, one tends to assume that it has simply been used up but the level drops even if the cleaning station is not being used. The Braun Series 7 shavers do have a pop-up trimmer that works well for the basic trimming of sideburns and stubborn flat-lying hairs. Braun Series 7 (model 7898cc) pop up trimmer and shaver head. 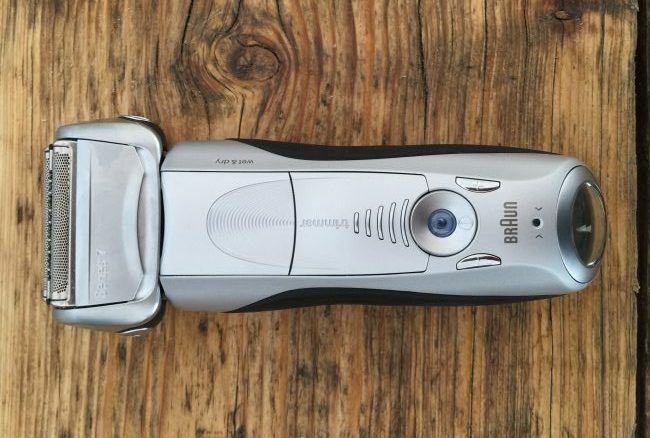 The G+S testing team found that the Braun Series 7 pop-up trimmer is most useful on Monday mornings after not having shaved all weekend; at the beginning of your shave trim those stubborn hairs that lie flat against your neck (or under the chin etc. ), this then prepares the hairs nicely for the foil to complete the shave. 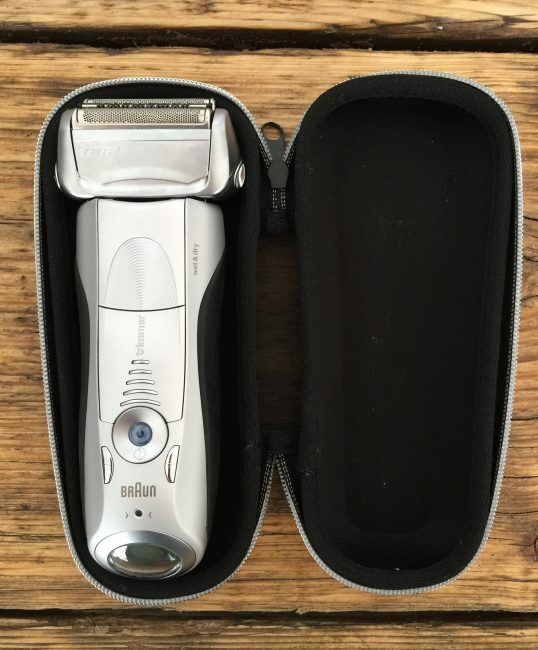 The pop-up trimmer on the Braun Series 7 (model 7898cc) is very helpful to capture those stubborn flat lying hairs, especially on the neck and under the chin. 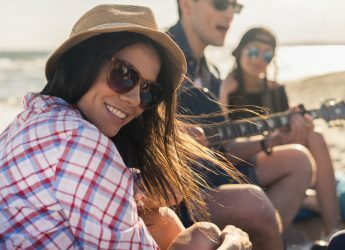 It is, however, not a “complete” trimming solution – so you cannot utilize it to trim your facial hair down to stubble or to do fine detailing work. 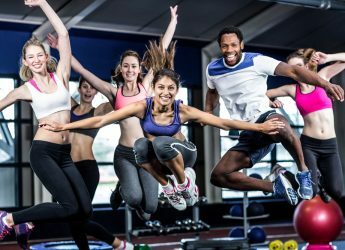 The most important difference between the Series 7 of Braun shavers and the Series 5 is the proprietary Pulsonic technology that is not included in the Series 5. This technology is what allows the more advanced Braun shaver to capture hair of various lengths and cut it all consistently and quickly. 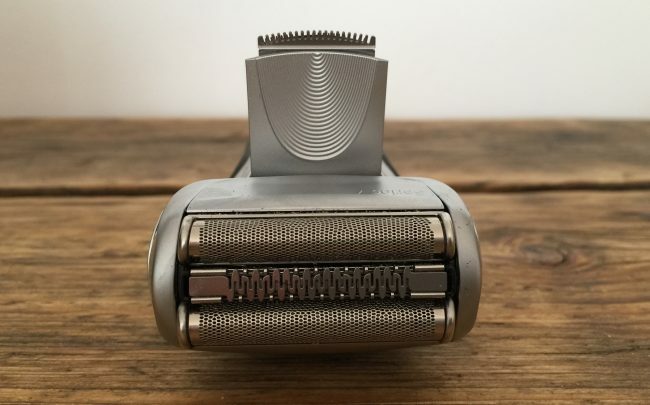 Because of this, the Series 7 offers a closer shaver with increased comfort than the older Series 5 versions. Notably, the Series 5 is cheaper, but if you are looking for budget Braun shavers, the Braun 3 Series 340S-4 may make a better choice. Thanks for the question. 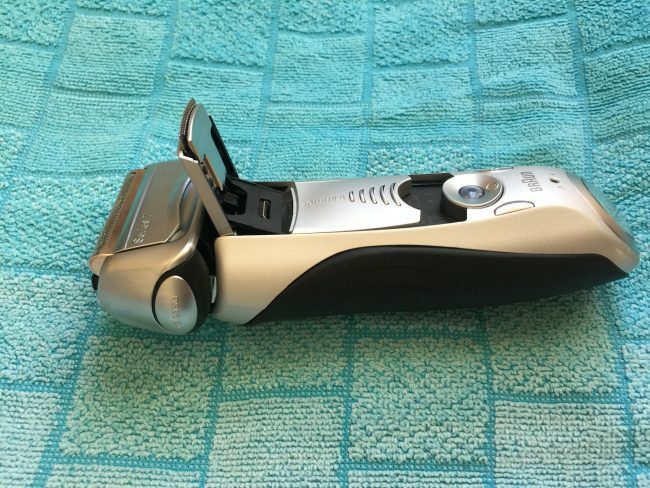 Yes, the Braun Series 7 shavers have a pop-up trimmer – the page has been updated with an image and video of the Braun Series 7 and its trimmer. 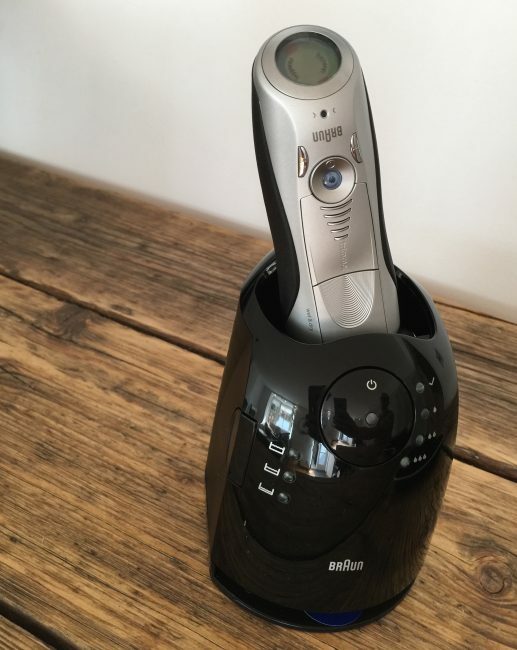 Does the Braun 7893s Wet & Dry Electric Shaver have a pop up precision trimmer? 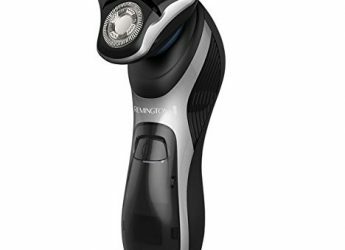 It is undoubtedly a great shaver, that has been surpassed now only by Braun’s own Series 9. That said, IMO the higher end Panasonic shavers, like Arc4 and especially Arc5 do provide a bit closer shave at the expense of more irritation. find at times almost too difficult to bear. Braun Series 7 is the master of all shavers. 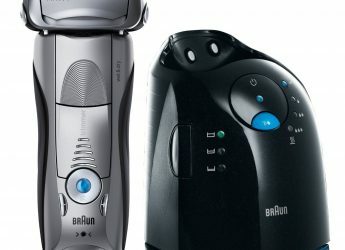 Actually I wanted to buy a panasonic razor, But after a bit research I understood that Braun is totally unbeatable in the world of electric shavers. Every time they release a product, it is meant to be the best. And in the case of 799cc, it is no different. It is just awesome. Thanks to Braun.